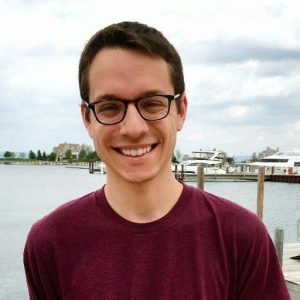 Blake Robbins graduated from the Michigan Venture Fellows Program in 2017 while at Ludlow Ventures. He currently is an associate at Ludlow Ventures in Detroit, MI. Blake is currently an associate at Ludlow Ventures. At Ludlow Ventures, Blake focuses on identifying and analyzing potential investments. Additionally, Blake routinely assists portfolio companies with ad-hoc projects. Prior to joining Ludlow Ventures, Blake held a variety of operational roles at some of the world’s leading technology firms, such as: SpaceX, Google, Nest, and General Assembly. Most recently, Blake worked as an Associate Account Strategist at Google, where he consulted with small and medium-sized businesses using Google AdWords, YouTube, and Google Analytics to ensure they were maximizing their return-on-investment. Blake received a Bachelor of Arts degree in Supply Chain Management from the Eli Broad College of Business at Michigan State University.